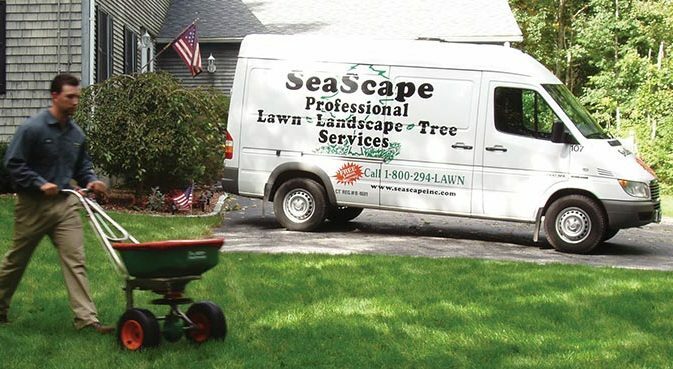 About Us - SeaScape, Inc.
SeaScape has provided the highest level of lawn, tree & landscape services since 1992. Beginning first as a lawn care service company (lawn fertilization and related services), our services have expanded to now include tree & shrub care (insect and disease control); full service tree work; various forms of pest control; full service commercial property landscape management; and, Christmas lighting. Our service area includes all of Rhode Island; southeast Massachusetts; and, eastern Connecticut. SeaScape is owned and operated by James F. Wilkinson, PhD (MS, horticulture; PhD, turf management). Dr. Wilkinson’s 35+ years experience in the turf & horticulture industry includes teaching at Ohio State University; general manager, Old Fox Lawn Care; President, Professional Lawn Care Association of America (PLCAA); and PLCAA’s Director of Environmental and Regulatory Affairs. To learn more about other staff members at SeaScape and their qualifications, visit the STAFF page. SeaScape always takes the utmost care in all treatments and services to ensure safety and environmental protection. Natural & organic products are used when beneficial and cost effective. Pest controls are used judiciously and under strict Integrated Pest Management (IPM) guidelines by licensed and trained technicians. Granular fertilizers only are used (never liquid sprays); driveways and walks are cleaned of all products; calls are made before all lawn and tree & shrub applications; and we spot treat weeds only and avoid blanket applications to the entire lawn. To learn more about our policies towards pest control applications and natural – organic lawn care, please click on the yellow ‘An Eco Friendly Company’ logo.